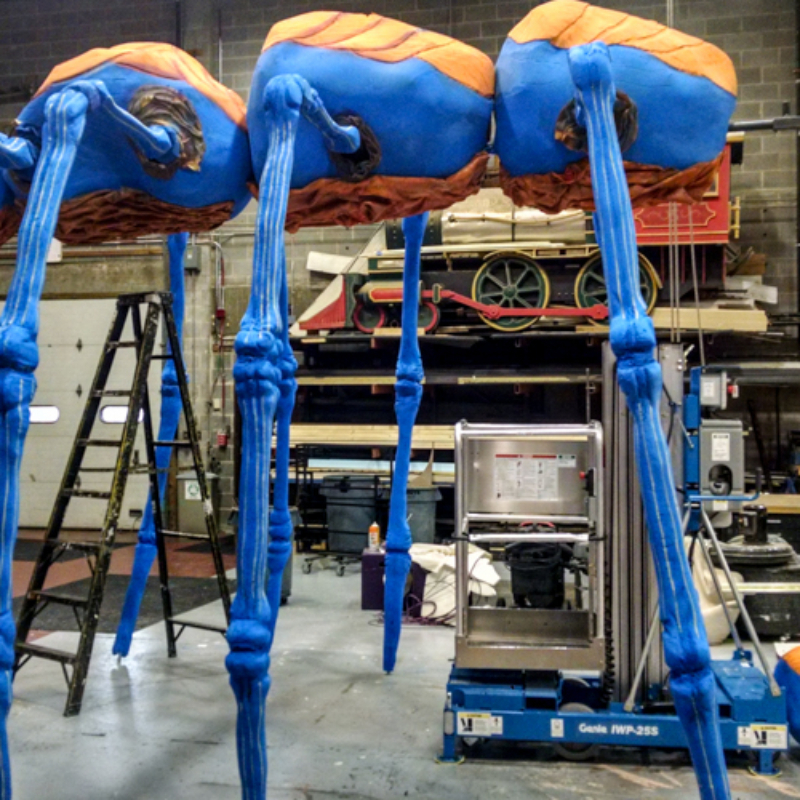 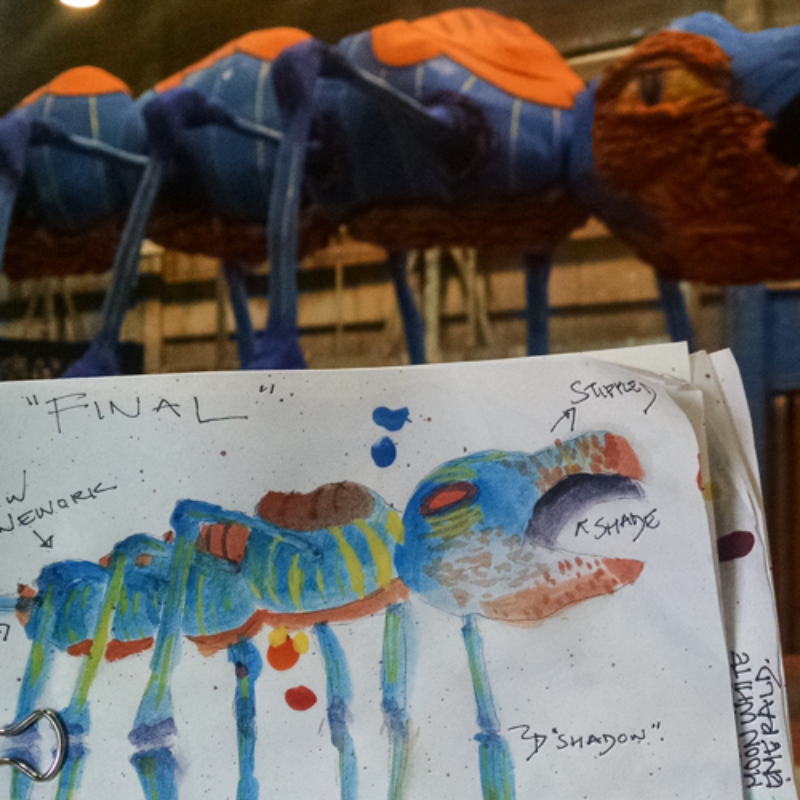 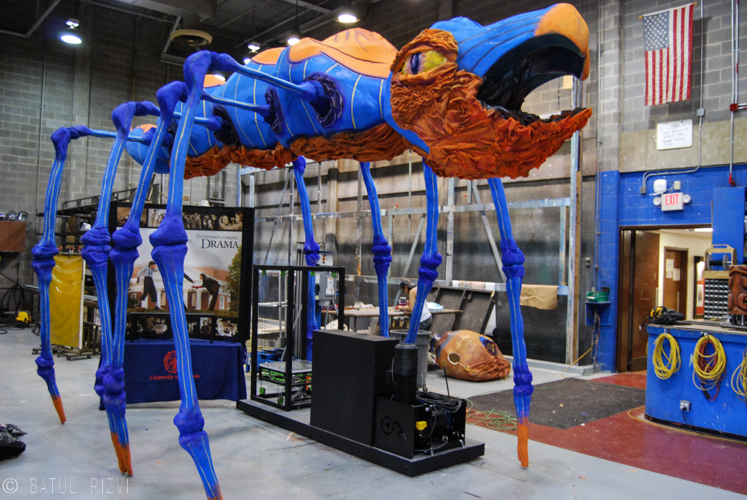 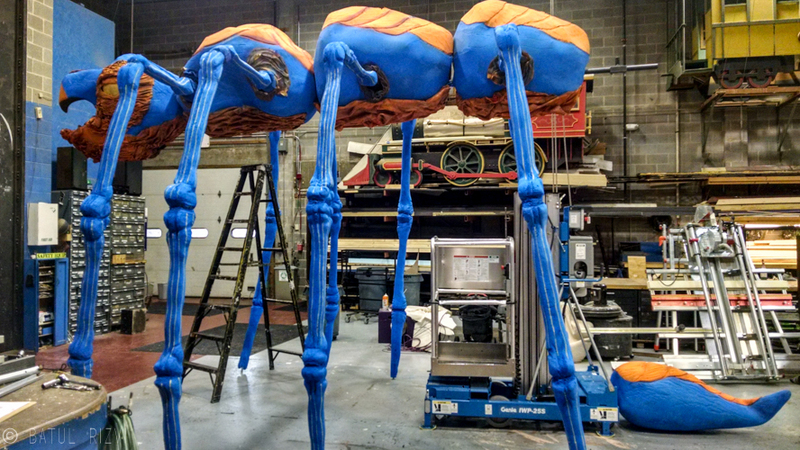 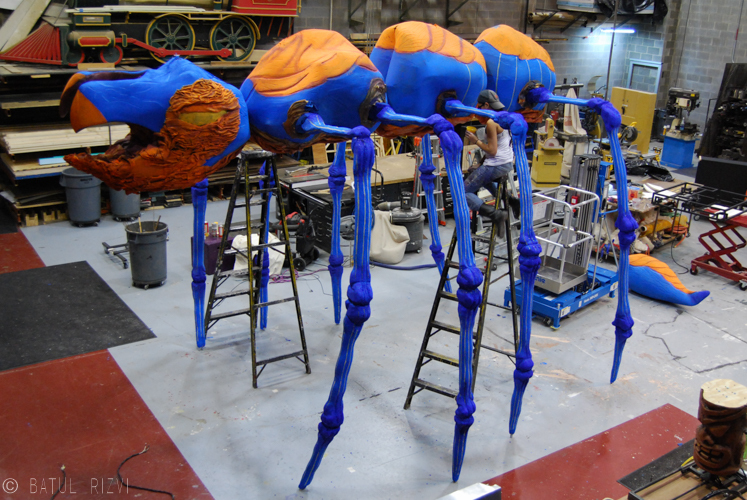 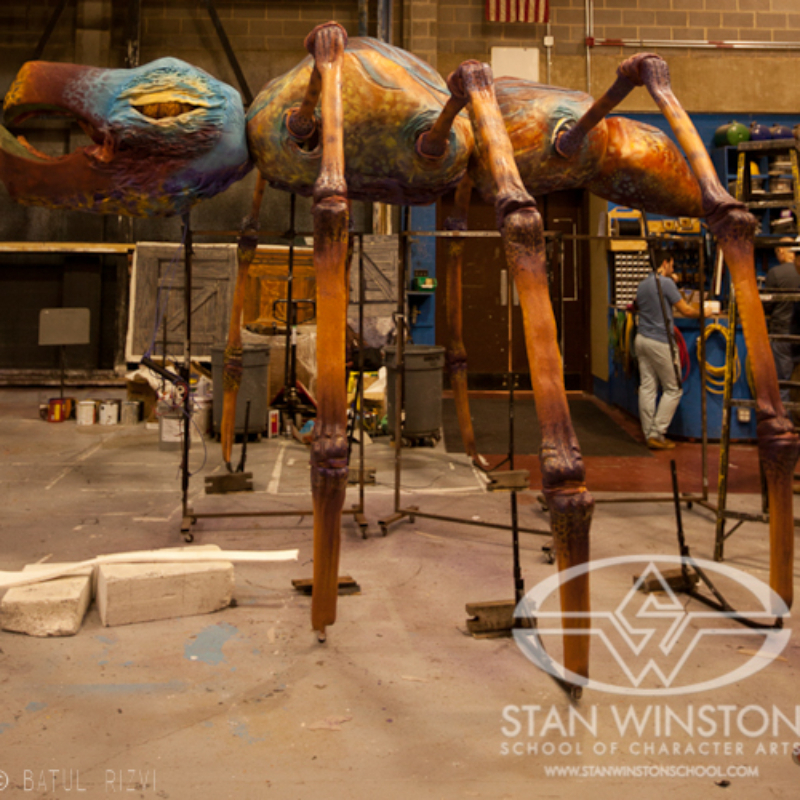 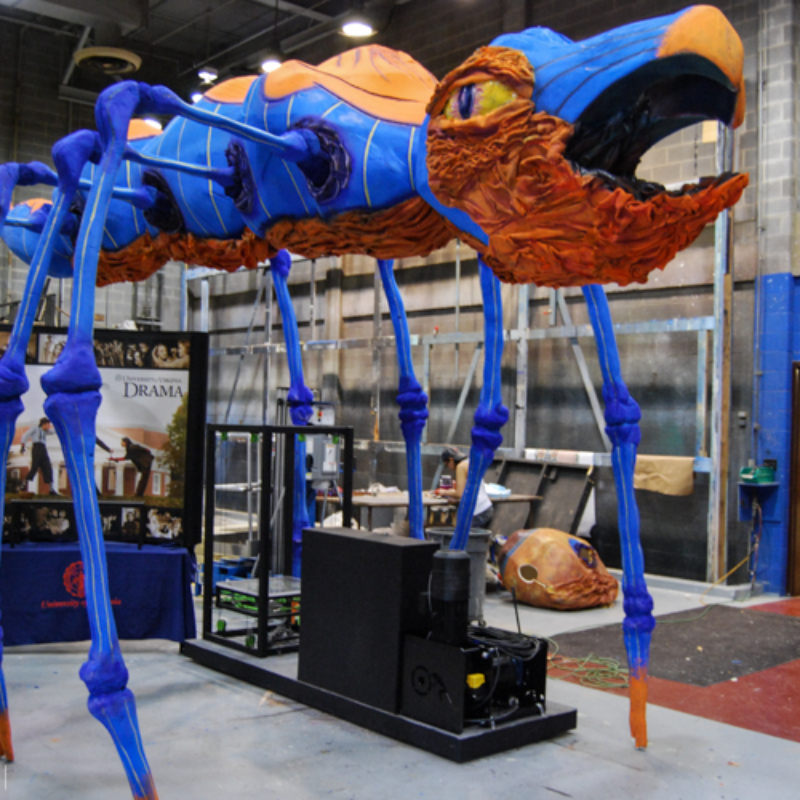 This moving creature was created for The Stan Winston Arts Festival at the University of Virginia in 2013. 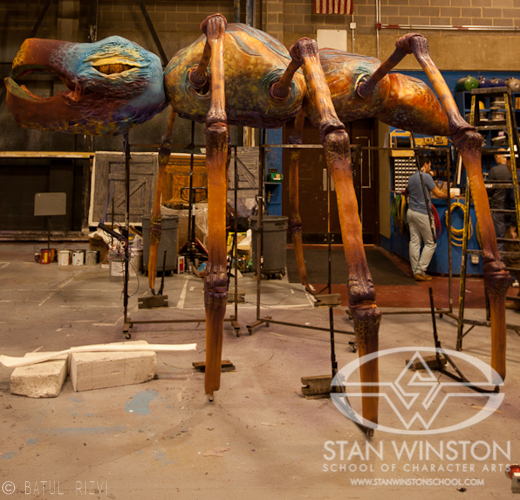 The Department of Drama at UVA re purposed this project as a booth display for the USITT National Conference in Cincinnati, Ohio in 2015. 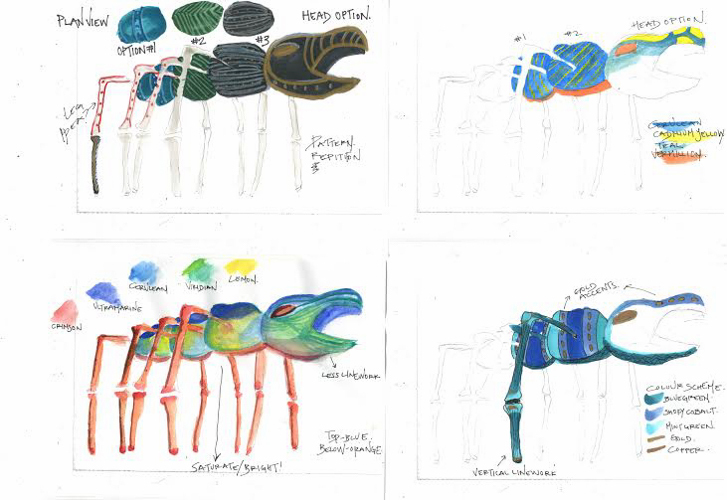 This project entailed creating a new look for the creature from scratch. 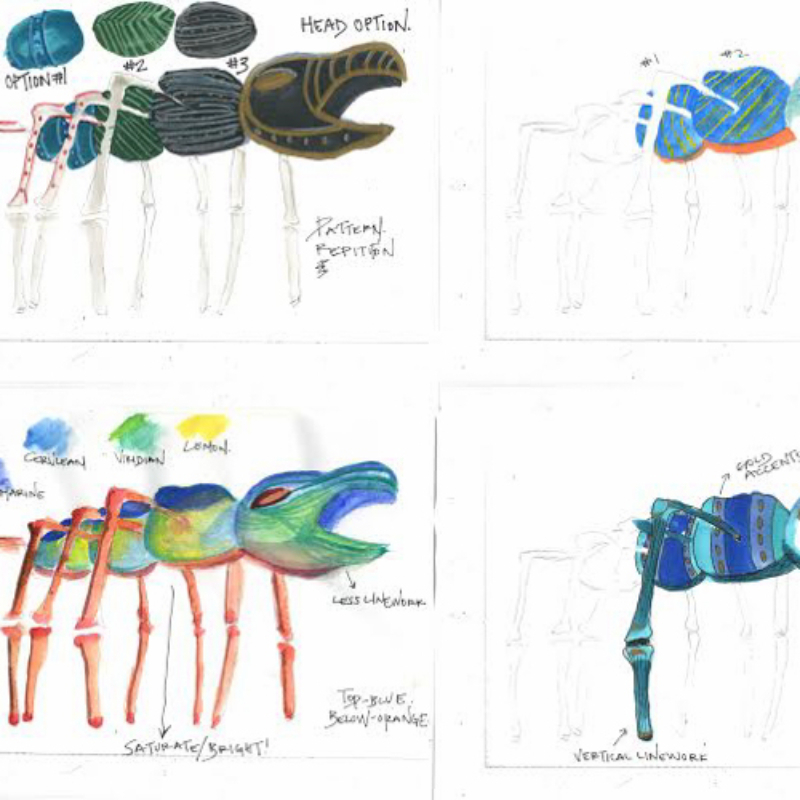 Collaboration with the UVA Department of Drama was key to finding a look that was cohesive, attractive, and represented the essence of Stan Winston and UVA. 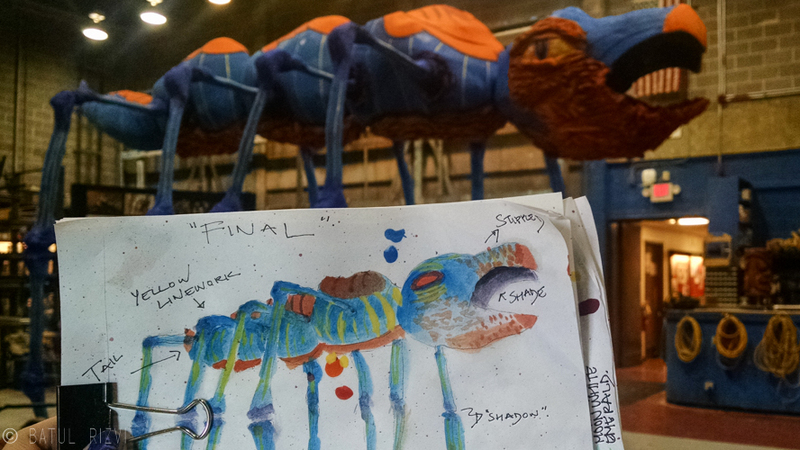 The timeline for this was five days from start to finish. 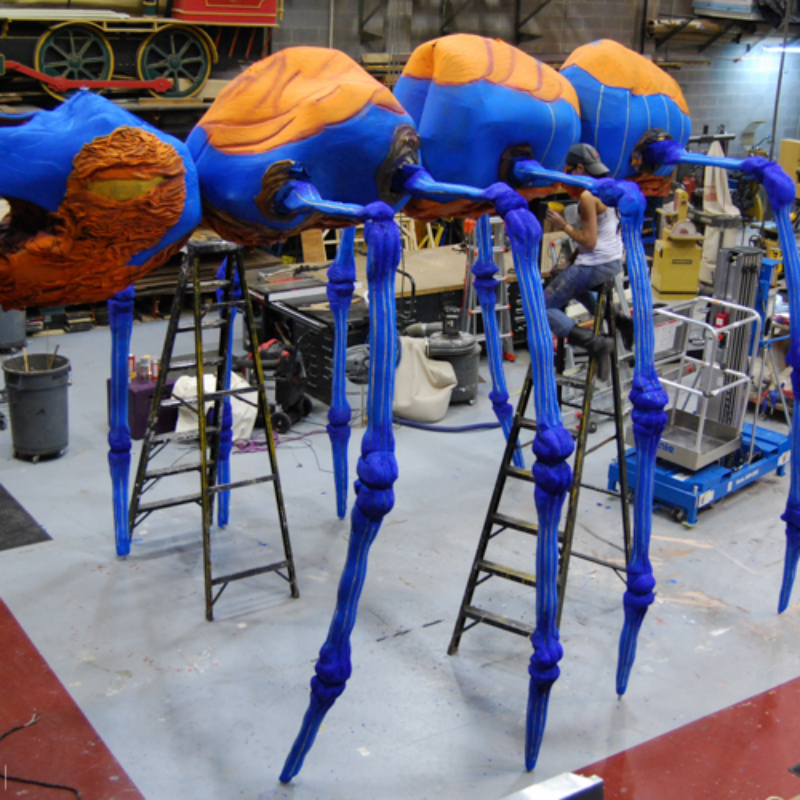 Mediums included acrylic, latex, and sealers applied with airbrushes, high pressure low volume sprayers, and various scenic brushes.